Video tutorials included in app, as well as accessible video options of visual impairments. Easy set-up instructions in simple language with picture/video supports. Can be used on either right or left hand. Learning apps (Tap Genius) teach each set of code sequentially and allow for practice. 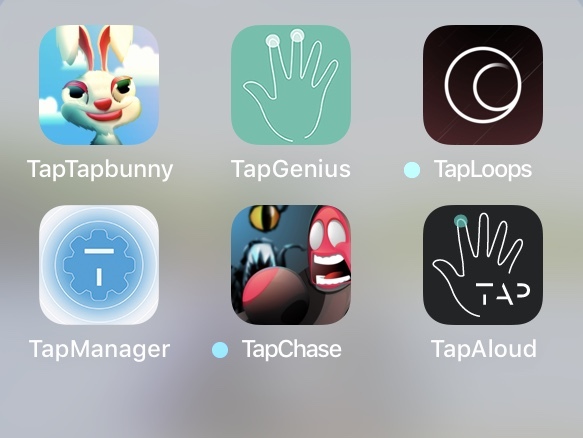 Multiple gaming apps available to practice skills in fun setting (TapTapBunny, Tap Squadron, TapChase, TapLoops). Accessible version of Tap training (TapAloud) for individuals with visual impairments. Ability to modify tap codes to personalize for each user. Requires a minimal amount of find motor control to use device accurately. Significant learning curve initially to become proficient with use. Requires regular consistent use to maintain the tapping library. Unlikely to withstand high wear and tear without damage. Not possible to slow the speed of training programs to accommodate for different learners. There have been significant, positive improvements with this device over the past six months. Additionally there is an ongoing system in place for continued developments with the associated Tap apps. They have done an excellent job in providing accessibility options for users; however the scope of these options have been focused on supporting those with visual impairments. Supporting diverse learners and users often means thinking outside the box in terms of adaptations for mobility impairments, communication impairments, and cognitive delays. Beyond what this device was originally designed for, it has the potential to assist with developing fine motor skills, duel-referencing abilities, teaching cause and effect, following one step instructions, and more. They have the potential for being resources for those supporting individuals with developmental disabilities, but the impact and range of the device’s use is solely dependent on the creativity of the user.